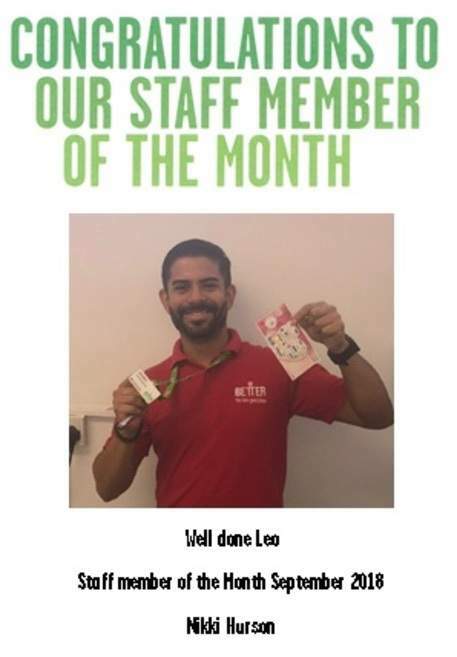 Leandro, our casual lifeguard, won Employee of the Month for September. He goes out his way when on shift to ensure the centre is looking amazing, and he always has a massive smile on his face. An absolute pleasure to work with!